While many children love Disney movies (and other animated films), I feel like more and more of these movies have elements that only adults can appreciate. While Brother Bear first came out about eight years ago, this movie has a depth that in recent times has really touched me. Kenai's totem is the "bear of love," and his is the most obvious of the three because of Kenai's prominent role in the story. I think it's important to note that Kenai is the youngest of the three brothers. In the beginning he's rather immature, lacks a sense of responsibility, and shows a self-centered nature. 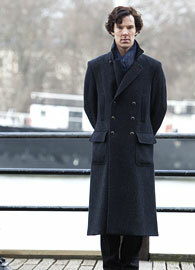 Of course, part of his demeanor is rather charming as the fun-loving youngest sibling. On the other hand, when he lashes out at the bear he blames for the death of Sitka, his brother's spirit decides that Kenai has a lot to learn about love. Kenai is transformed into a bear, and his journey to discover what it takes to be a man (a journey he doesn't seem to realize he's taking) begins. Forgiveness - As a bear, Kenai gains a new perspective on the suffering brought about by the vicious circle of blame and revenge. His own brother, Denahi, is hunting him (not realizing that the bear is Kenai), and Denahi is slowly falling apart. He's barely surviving in the harsh elements of the wilderness, and he's fueled only by a sense of killing the bear that played a part in the supposed death of Kenai. Kenai is able to see how he once was, and his heart goes out to the brother that is so desperately lost. But that's only part of the story. Kenai also realizes that his new little "brother" - the adorable bear, Koda - is the child of the mother bear he killed. Suddenly, he is given a much broader perspective on the thoughtlessness of his actions and on the pain brought about by his own hand. He once viewed bears as "monsters," but through Koda's eyes he sees that bears view humans as "monsters." Only through forgiveness and a fresh perspective is Kenai (and Denahi) set free. Family - A main focus of love in this movie is on family. Kenai is accepted by the bears as one of them, and he is moved by the fun and fellowship that they share. 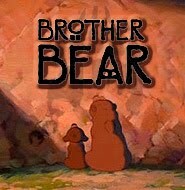 At the beginning of the movie he once had that connection with his own blood brothers and in his own village, and in the end he embraces it once again with his new brother bear (Koda) and back in his village. When he finally learns love, he's able to put his print (paw print instead of hand print, in his case) on the wall along with the prints of his ancestors, signifying his move into adulthood. Denahi's totem is "wisdom." While he enjoys tormenting his brothers, after the death of Sitka he tells Kenai that he's trying to embrace his totem by not going after the bear - a fruitless endeavor that won't bring about any good. But in his pain he tells Kenai, "I don't blame the bear" - meaning that he blamed Kenai for their older brother's death. When he goes after Kenai to try to stop him from killing the bear, he doesn't make it in time, and he mistakes his newly transformed brother for the bear whom he thinks is responsible for Kenai's death. It's confusing if you're unfamiliar with the story, but the point is that Denahi "loses" both of his brothers, and he chooses a path of revenge. Understanding - While the idea of "understanding" fits well with Kenai's character and his need for love, I think Denahi really "fulfills" his totem when he gains understanding. Denahi gets to see who Kenai has become, as well as what he himself has become as dictated by revenge. At the beginning of the movie, Denahi liked to consider himself as wise, but it is when he sees his own brother embracing love that he is able to embrace wisdom. Note Proverbs 17:24, which says, "Wisdom is before him that hath understanding; but the eyes of the fool are in the ends of the earth." Sharing - The very first scene is of Denahi as an older man, introducing his brother's story to his community. The idea behind the movie is that Denahi is narrating the story (in a sense), and his voice-over comes back in the very last scene. Denahi learned true wisdom from his brother's story, and in wisdom he shares that lesson with others. Sitka's totem is the "eagle of guidance." As the older brother, Sitka was the one who tried to help his younger brothers, and he was the one who sacrificed his own life in order to save his brothers from the mother bear. He appears throughout the rest of the movie (after his death) as a spirit and as an eagle. It's interesting to realize how often the eagle is shown at the edge of a scene, constantly watching over his brothers. Meaning - In Phil Collins' song "Look Through My Eyes," there's a line that says, "There's a meaning in everything." Throughout Brother Bear it is amazing to see how all the little details fit together - how the utter despair plays a part in the ultimate joy of the movie. And isn't that what we believe as Christians? Romans 8:28 says, "And we know that all things work together for good to them that love God, to them who are the called according to this purpose." Plan - I love how Sitka is shown throughout the movie (beginning as a human, and then later on as an eagle), being there for his brothers whether they are aware of his presence or not. There's a plan involved, and each brother is learning something that will help him to become a man - something that will help him mature and become who he is supposed to be. Isn't it wonderful to know that even when we don't "see" God, He's watching over us and guiding us? He will provide guidance; He hears us when we cry out in despair and confusion. Even though He knows that His plan for us includes suffering and pain that we won't understand, it is because He loves us that He brings us through those difficult times to grow us into the men and women in Christ that we are supposed to become. This movie may talk about the "great spirits," but the take-away lessons of Brother Bear have much to offer us as believers in the one true God. Beautiful animation, some humorous moments, and a heartfelt message make this a movie full of life and hope. May we learn to show more love, be more understanding, and trust more in God's guidance. In Captive Trail, Susan Page Davis creates an interesting tale woven with subtle suspense and sweetness. Taabe Waipu is a young woman with a complicated past - with most of her memories coming from her experiences as a captive in a Comanche tribe. As the title of the book would suggest, Captive Trail is mainly Taabe's story - escaping captivity and re-learning life as she once knew it - but some great secondary characters (from kindly and courageous nuns to a spunky and chatty young girl) round the book out nicely. Ned Bright is the typical romance-novel hero - protective, understanding, and apparently pretty good-looking. However, his character is pretty two-dimensional. In the very beginning he's rather ambivalent and not overly attractive. The sudden, rather inexplicable feelings that arise in both Taabe's and Ned's hearts part way though the book are a little tough to swallow. The story is a bit stilted and lacks depth in certain areas (like Ned's character). But the story eventually flows a little easier once the characters get settled in and the tension starts to mount. The plot, while not completely action-packed, is an intriguing one, and Taabe's musings and concerns raise some meaningful questions for the reader. 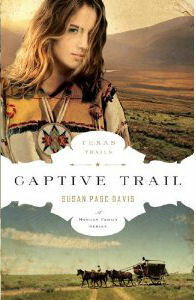 I recommend Captive Trail for those who enjoy a light historical romance set in the American West. Episode 1: "A Study in Pink"
Episode 2: "The Blind Banker"
Episode 3: "The Great Game"
Episode 1: "A Scandal in Belgravia"
Episode 2: "The Hounds of Baskerville"
Episode 3: "The Reichenbach Fall"
But wait - would you like to see a very short (but still awesome!) teaser from YouTube? *Sigh* Thoughts, anyone? Any readers out there share my eagerness?? "Her heart is tied to a youthful vow . . . but can true love set it free? Ten years ago, Emma Malloy fled Dublin for Boston, running for her life. Her emotional wounds have finally faded, and her life is now full of purpose and free from the pain of her past. But when she falls for her friend Charity's handsome and charming brother, Sean O'Connor, fear and shame threaten to destroy her. Could Sean and Emma ever have a future together? Or is Emma doomed to live out the rest of her life denying the only true love she's ever known? Filled with intense passion and longing, deception and revelation, A Heart Revealed will hold you in its grip until the very last page." Catching up with the O'Connor clan is always a treat! Lessman's family saga continues in A Heart Revealed - a sweet story of grace and godliness, as well as the struggle to accept and act in both. Hearts are certainly revealed in several marriages and friendships throughout this story, and Lessman's sensitivity makes the result ultimately uplifting. Reading through this book is like reading through plenty of case studies for various personality theories. The pages are rich in each character's personal history and the motivations that brought them to where the story unfolds. Plenty to discuss and dissect here! And plenty to cause angst and frustration in the reader, for sure, as Lessman creates tons of engaging drama. Like other Julie Lessman novels, this book will require setting aside a good chunk of time in order to read through it, but her stories are worth the investment. For old fans and new ones, this is a well-written and intriguing story full of misguided love and tender affection that romance readers will enjoy! "Jaime and C. J. Fitzpatrick began their married life as most couples do--in love and looking forward to a bright future together. But four years later they've drifted apart and are almost ready to call it quits. With her trademark plot twists and attention to detail, Suzanne Woods Fisher offers readers a beautiful Christmas story of love, forgiveness, and what truly matters in life." If you're looking for tinsel and mistletoe, stockings and Christmas trees, or Santa Clause and Frosty the Snowman, you won't find them in A Lancaster County Christmas. But you will find authentic characters learning about the simple and powerful message of Emmanuel - God with us - at Christmastime. And the sweet simplicity is refreshing, indeed! But if the message and the setting are "simple," the situations are quite the opposite. Fisher's characters are unique and yet real. Fisher doesn't omit the depth - and sometimes shame - of the range of feelings humans possess at various times. But it is through her honesty that the truth she shares shines even brighter. The characters in this particular book all fit together like a well-designed puzzle. Each person has something to teach another - and something to learn from another. 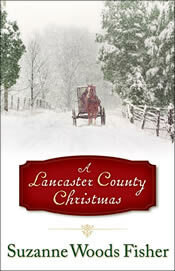 A Lancaster County Christmas perhaps borders on "preachy" on occasion, but I think it mostly avoids that pitfall because of the understandable hearts of the characters. Like most Christmas novellas, this is a feel-good book. But it's also more than that. It's a book for all seasons because it deals with the various seasons of our lives and the blessings to be found in the most unexpected moments. A treat to be enjoyed any time of the year! To enter, click one of the icons below. But hurry, the giveaway ends on 9/26. I was introduced to Owl City my first year of college, when the song "Fireflies" was really popular and playing on the radio all the time. I fell in love with his music - the upbeat rhythms, the unique and creative lyrics, and the overall emotion and excitement of the songs. You might recognize these words and the quoted poem from a devotional piece by Larkin Spivey that I shared several months ago. That poem is deeply moving! Lastly, if you, too, are a fan of Owl City, have you ever heard of Sky Sailing? According to iTunes, Sky Sailing was Adam Young's project prior to Owl City. I bought that CD, An Airplane Carried Me to Bed, this past summer, and I love it!! It's quite possible that I like it better than Young's other CDs overall, mostly because of the mood and flow of the songs. Want to hear a sample? *Sigh* Lots of great music to listen to whenever! I'm so grateful that of "All Things Bright and Beautiful" that God made, He also gave us music. What a blessing!! Last week's guest was Maureen Lang, author of "The Great War" series. If you missed the interview, I encourage you to click HERE and read it - I think you'll be touched by Maureen's responses! Congratulations! Be on the lookout for my e-mail! "Clark Davis’ (Wes Brown) adventurous dreams of seeing the world are put into jeopardy after he and a friend start a fight which damages a local cafe. Through a plea deal with the Sheriff (Jere Burns) and café owner Millie (Nancy McKeon), Clark works off his sentence as a farmhand for the Barlow sisters, Ellen (Julie Mond) and Cassie (Abigail Mavity). Older sister Ellen doesn’t understand Cassie’s friendly nature with Clark; she agreed to the Sheriff’s offer only because the farm has become too much to maintain alone. Clark is slowing winning Ellen over, but suddenly suffers a traumatic head injury in a fall. After Ellen nurses him back to health, her former fiancé returns to win her back. Will Clark travel on or stay behind where love begins?" The emotion and inspiration found in Love Comes Softly fueled the movies that came after it, but to be honest, I think the series is about out of steam. The first four movies directed by Michael Landon Jr. remain my favorite, although Love's Unfolding Dream has its own charm, too. But there seems to have been too much of a reliance on the faithful audience won over in those beginning movies and the overall reputation of the series. The movie quality of Love Begins is sorely lacking. A sweet romance, yes. A well-made and engaging movie - not quite. There's room for a prequel or two before Love Comes Softly, in the sense that Clark definitely had a story before he met Marty. But then again, lots of characters from all sorts of movies have a back story - anyone who has made it to their adult years has a past. So there has to be a compelling reason to bring in a prequel to the popular original movie. And Love Begins didn't make a strong enough case for its existence to satisfy me. When watching Love Begins, there's the sense that it's a modern movie parading as an historical. Not in the basis of the movie or the plot-line, but rather in the acting and the set/costumes. Perhaps the budget didn't allow for a more realistic feel, which is a bit disappointing. Yet there remains the sweetness. Some cute moments offer some smiles, and the corny moments certainly offer a giggle or laugh (and some humorous commentary among friends). I can't help but wonder if some of the movie was cut off on T.V. due to the length of the commercials, though, because some parts were rather abrupt and/or not well-developed, including the quick reappearance of another love interest. If you haven't yet seen any of the movies, I might skip this one. Or if you do watch both of the prequels first, please don't miss out on the original Love Comes Softly, as well! I know these movies aren't for everyone, but if you enjoy inspiring prairie-style romances, then I especially recommend the first few or so of the Love Comes Softly series. Overall, I've been blessed by these clean, gentle movies, some of which I have re-visited in the past and fallen in love anew each time (particularly Love Comes Softly, Love's Enduring Promise, Love's Long Journey, and Love's Abiding Joy). Did anyone else see the movie last night? I'd love to hear your thoughts! "Ann dreams of a marriage proposal from her poetic suitor, Eli-until Will Hanby shows her that nobility is more than fine words. A young man dreams of a new future in a big city. A young woman dreams of a life of romance and poetry. But when Will and Ann discover "reality" to be far different from their young dreams, will they give up on life and love? Fairer Than Morning begins with innocent youth, but circumstances quickly change for Will and Ann. It's a story about the harshness of adult life - cruelty, broken hearts, shame, responsibility. But it's also a story that explores the multifaceted gem of freedom and the enduring gifts of kindness and caring. I think this book especially struck a cord in me at this time because of some of the classes I'm taking this fall semester - "Civil War Era" and "History of Modern Africa." With all the discussions of slavery from various angles, reading about the abuse and fear slaves and some indentured servants experienced was difficult. 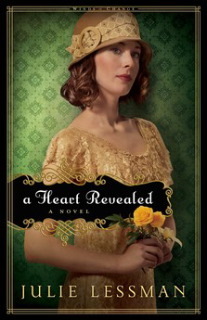 Despite the cover's depiction, this book is not a light romance. It's an intense story of growing up and struggling with some very real issues. Approaching the book for what it is, be prepared to read about the darkness of night in order to discover what is "fairer than morning." And be prepared to be challenged by this complex and well-written debut novel! For more about Rosslyn, visit her website. Get ready for an 8:00 or 9:00 AM class to the sounds of Air 1 playing in the hall bathroom? Eat chips and salsa on a Tuesday night listening to others' testimonies? Hear a knock at your door, call "Come in," and are offered a chocolate cake ball? Do a work-out video (played on your laptop) with your roommate? Get startled out of your homework-induced coma by the sounds of a fire alarm (set off by popcorn burnt in the microwave)? Go to bed to the tune of slamming doors and conversations filtering in through your open window? Meet a bunch of wonderful girls, make great new friends, and have an opportunity to learn more about communication and cooperation through living with other people (both similar to and different from you)? I realize that a lot of the blessings of dorm life I've experienced have to do with the fact that I go to an amazing Christian school called Corban University. =) I love it here! There are some challenges to living in a dorm, for sure, but overall it's a fun and memorable experience - one that will be over all too quickly. So for now, I'll take the burnt popcorn incidents with the chocolate cake balls. Here's to the fall semester of my senior year!! Until she meets a privileged young man sent to spend his summer in the mountains. Headstrong young Leo startles everyone by befriending Rose Red, and together they begin searching for the monster rumored to be stalking these lands. But the hunt, which began as a game, holds greater risk than either imagines. Soon both are forced to test their trust in each other as a far more terrifying scourge puts their entire land at risk." In Veiled Rose, Stengl brings a vivid and haunting world to life in a powerful way, giving new perspective and new dimensions to the story begun in Heartless (Book One of the "Tales of Goldstone Wood"). Full of adventure and meaning, this book is creative, unique, and epic in its scope. It is also challenging in its depth and insights - a well-rounded and well-written tale! In order to fully appreciate the fantasy world and the characters that Stengl has depicted, I highly recommend reading Heartless before Veiled Rose. If anything, it's utterly intriguing to discover Lionheart's past (from childhood to his early 20s) and see the background elements of Heartless become the main ingredients in this new, and yet eventually familiar story that takes place before and during the events of Heartless. This is a meaty sequel that spans years and concludes on the brink of another story. The book is engrossing, albeit rather dark for the most part. 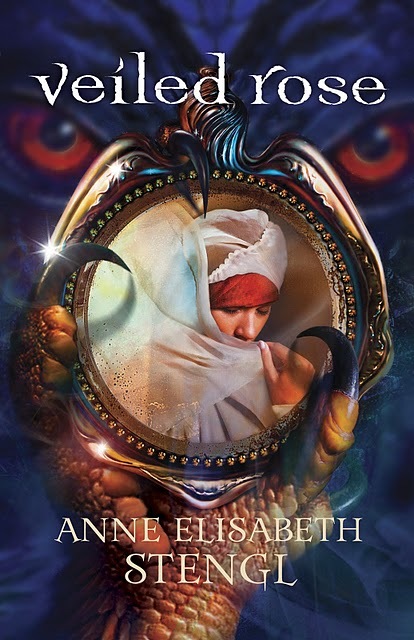 Full of caution, danger, and yet undying hope and love found in the Prince of Farthestshore, Veiled Rose is a wonderful sequel that begs the reading of Moonblood (releasing April 2012)! Welcome to Medieval Italy! 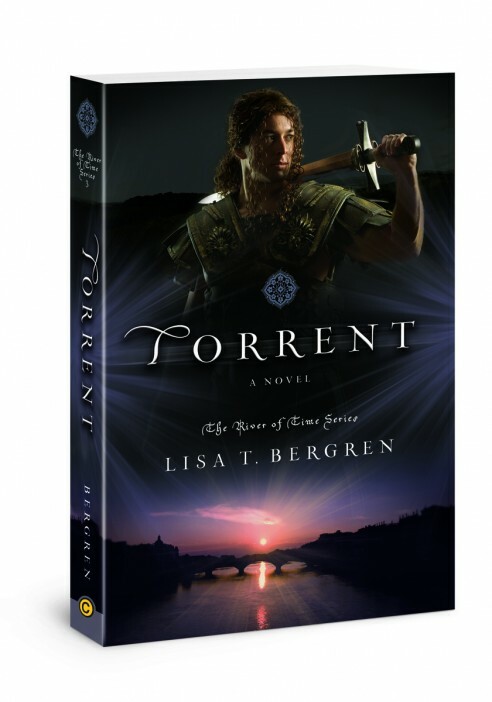 Let's adjourn to the library at Castello Forelli so we can discuss the talk of the kingdom - "The River of Time" series by Lisa T. Bergren! Or more specifically, the conclusion to this awesome series - Torrent!! "Gabi and Lia Betarrini have learned to control their time travel, and they return from medieval Italy to save their father from his tragic death in modern times. But love calls across the centuries, and the girls are determined to return forever—even though they know the Black Plague is advancing across Europe, claiming the lives of one-third of the population. In the suspenseful conclusion of the River of Time series, every decision is about life … and death." Gabi is one tough swordswoman - always "at the ready," persevering through pain, and fighting for freedom. Do you think you would have what it takes to survive (like Gabi and her family) in a place as dangerous as Medieval Italy? What does it take to survive in this day and age? Conversely, what do you enjoy most about living in this time period? For parents: Would you be willing to let your children travel back to a vicious time if it meant a more meaningful "future" for all of you? For young adults: If the only way your whole family could stay together was to go back in time, would you be willing to take the risk and give up modern comforts, friends, school, a career, etc.? "In one passage, the book titles for the series are somewhat explained: 'My eyes shifted to the trickling river. Come spring, it would be ten times as wide and just as deep. On and on it went, rushing toward the distant horizon. Like time. Like life. Sometimes gently falling from one pool into the other, other times fast and cascading, and still other times narrowing into a funnel, a torrent of knots and waves.' Have you experienced life like that? Identify three times in your life that feel like a Waterfall, a Cascade, and a Torrent. Which one describes your life right now?" I absolutely LOVE the idea of an "after words" for a book - like an "encore" or a piece of "dessert." Way to go David C Cook publishers - fabulous idea! I just had to include the discussion question above because it really ties the whole series together, and it's a brilliant question! Thank you to Melanie from Christian Bookshelf Reviews and Katie from Legacy of a Writer for the award! I'm an introvert. Give me a book, a movie, and my laptop on a quiet weekend anytime! This is my third year at college, but it's also my senior year, which means I'll be graduating in May!! I'm going to the Women of Faith conference in October! I'm (hopefully) going to the Oregon Shakespeare Festival in Ashland in October and see Measure for Measure and Julius Caesar with my Shakespeare class! Let's show these lovely bloggers some love, shall we? Maureen Lang's latest book series, "The Great War," is not set in the United States, nor is it about the U.S. military. 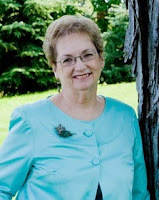 But Maureen has a big heart for our military, and her books give readers a greater appreciation for the hardships soldiers and other military members face. It is my great pleasure to welcome her here today! Read on to learn more about her story and discover a chance to win one of her books! Maureen: Thanks for having me! I like to call myself an avid reader who’s found a way to write what I want to read. The best stories, to me, are ones filled not only with romance, challenge and adventure, but stories that touch my soul, make me think, or leave me breathless. That’s what I strive for in the stories I tell. I’ve been writing since I was a child, had my first three books published in the secular world way back in my twenties (we won’t count how many years that’s been!) and have been writing in the Christian market for about ten years. My upcoming book (spring 2012) is set in 1883 New York City, about a young woman who finds out her recently deceased father supported her year-round enrollment in an expensive debutante-grooming school by being a thief—so she decides to forget polite society and take up where he left off. Several of my previous titles have earned various writing distinctions (including a Christy nomination, a Holt Medallion, FHL’s Reader’s Choice award, four time finalist in the Carol Awards). I live in the Chicago area with my husband, two sons and our lovable Lab. What made you decide to write a book series set during WWI? Even though your books don’t necessarily feature the U.S. military, do you have any military members in your family that inspired you? Maureen: I’m the daughter of a Navy vet and the granddaughter of an Army vet. My grandfather left me two boxes of photographs from the First World War, and between that and my grandmother’s stories from the era, I was hooked. I also grew up with all kinds of stories about my dad’s naval enlistment before WWII. My father grew up wanting to see the world, and at seventeen years old decided he wanted to join the Navy. He needed his mother’s permission to do so, and she gave it. After a brief stint on the USS Oklahoma, he served on a gunboat on the Yangtze River in China (if you’ve seen the Sand Pebbles, you have a good idea of what that was like). In late 1941 his boat, along with the other American boats in the area, were summoned to the Philippines. It wasn’t long after that he learned about the Oklahoma being sunk at Pearl Harbor. But being in the Philippines wasn’t much of a break. The area was overrun with Japanese, and they were instructed to scuttle their own boat. He fought the Japanese on land for about three months (for which he received a special Presidential citation), until captured and sent on a march that followed the initial Death March that had taken place a month or so before. He was shifted from one camp to another, until finally being shipped to Mukden, Manchuria where he spent the bulk of his three and a half years of captivity. When the war finally ended and he was liberated, he weighed under 100 pounds and the doctors told him he probably wouldn’t be able to offer children to any potential wife, because of the abuse, disease and malnutrition he’d suffered during those years. But my mom married him anyway, and it was within the first year that they proved those doctors wrong. I’m one of six kids who weren’t supposed to be here if those doctors had been believed. I think doctors know a lot more these days, but it’s probably in part thanks to what they learned from people like my dad who survived so much. Amber: Wow! I can't even imagine what your dad suffered on behalf of our country. What an amazing story of service, courage, and hope after extremely difficult times! So, what is it you admire most about the U.S. military? Maureen: So many things! I know enough of history to be grateful that we’re one nation, never having been conquered or split into bits by other nations who would likely enjoy our vast natural resources. I know our security today is because of our military. I so admire those who’ve given the best of their lives, their talents and energy to keep the United States what it is: a free republic that is the strongest representative in history of peace-keeping and goodwill. Our service men and women are the ultimate good guys! What’s next in your writing career? Can readers expect any more books set during WWI, or do you have something else in the works? 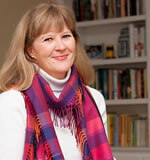 Maureen: As I mentioned above, my next book is due out in the spring of 2012. I’ve had so much fun with this book! Although it doesn’t include a war, there is still plenty of angst when my heroine tries to connect with her father’s memory by following a path he never wanted her to take, as a thief. Her father’s young protégé (also a thief) does all he can to dissuade her at first, but eventually he has little choice except to work along with her. Before long she realizes she might not have the stomach for thievery, after all, and God is in hot pursuit of them both. Who will catch them first? God, or the law? Maureen: This is so important to me. Before I was published in the Christian market, I asked several people to pray for my writing ministry. I prayed then and still do that God would continue to use storytelling as a way to touch the lives of others—inside the Kingdom to bring us closer to Him, with greater insight to His love and grace, and beyond the Kingdom to draw others to Him. Storytelling is such a powerful tool, one Christ Himself used to reveal the nature of God. Please join me in prayer that Christian authors everywhere will trust God to use us in a way that not only honors Him but represents to others the love and power and truth that God revealed of Himself in the Bible. Thanks so much for having me, the discussion was a pleasure! Amber: The pleasure is all ours! =) Thank you for being here and sharing with us! Leave a comment for Maureen along with your e-mail address! You must have a U.S. mailing address in order to be entered in the drawing. The winner will be announced on the next "Monday for the Military" post. Would you like to know the winner from last week's giveaway (Faith Deployed . . . Again)? The winner from last week's giveaway is Danielle! 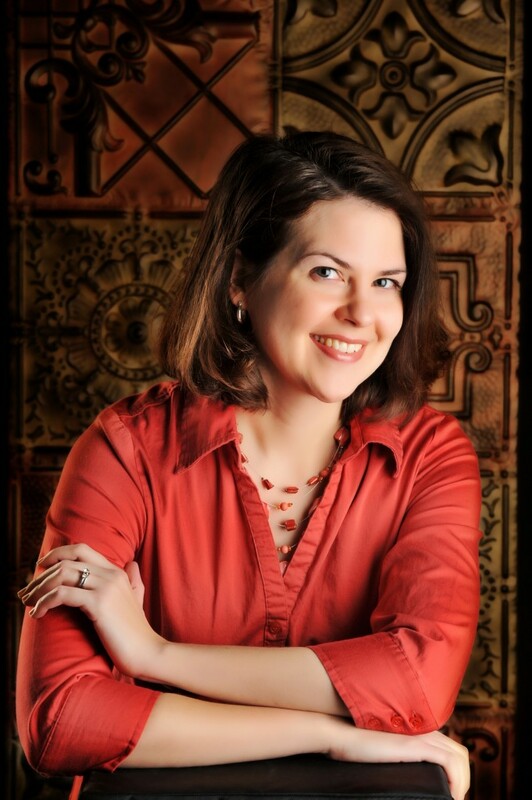 Thank you so much to Jocelyn (and publisher) for the wonderful interview/giveaway! And thank you to all of you who stopped by and/or became new "members" of my blog - it was a blessing to meet all of you military wives. You're welcome here anytime! Why are we celebrating? Well, besides it being a new season (not quite officially yet, but soon! ), it's also time to "hit the books." For me and all you other students out there, that can refer to textbooks and the like. But for all of us who are Christian fiction fans, there are some great books releasing this fall!!! So are you ready to "hit the books"? This fall I hope to do some book discussions (including discussions of the two books pictured above!) and share plenty of reviews with you! I say, "Bring it on!!!" What books have been pouring into your mailbox lately? Or what books are you most looking forward to reading later this fall? Contractor Marshall Graham can't imagine why the former drinking buddy of his deceased father would beckon him to Bridal Veil Island. And when Boyd Cunningham asks him to watch over Audrey, Marshall is even more confused. He has no desire to be saddled with caring for this fiery young woman who is openly hostile toward him. But when Audrey seems to be falling for another man--one who has two little girls Audrey adores--Marshall realizes she holds more of his heart than he realized. Which man will Audrey choose? And can she hold on to her ancestral property in the face of overwhelming odds? If you would like to read the first chapter of To Have and to Hold, go HERE. For Audrey, there doesn't seem much she can have and hold - not the island, not her father's health, and not trust in God or anyone else. But dear (and interesting) friends, a hard-working (and handsome) young man, and some suspicious characters challenge Audrey to open her heart again. With throwbacks to the Civil War, tension at the construction site, and romantic conflict, this book holds the reader's attention until the end. Peterson and Miller present a well-rounded and enjoyable story in To Have and to Hold. Well, no re-reading for me since my last update! Right now I'm mostly occupied with reading books for review. Unfortunately I have this nasty inability to say "no" to book review options... ;) I guess sometimes I actually do decline/ignore requests, but there are just so many great new releases I'm having a hard time passing many books by! Anybody else in the same boat?? Kim Vogel Sawyer is the author of fifteen novels, including several CBA and ECPA bestsellers. Her books have won the ACFW Book of the Year Award, the Gayle Wilson Award of Excellence, and the Inspirational Readers Choice Award. Kim is active in her church, where she leads women's fellowship and participates in both voice and bell choirs. In her spare time, she enjoys drama, quilting, and calligraphy. Kim and her husband, Don, reside in central Kansas, and have three daughters and numerous grandchildren. 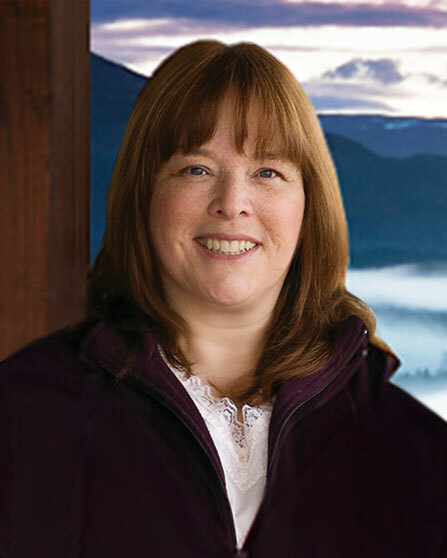 Ostracized by her tribe because of her white father, Lizzie Dawson lives alone in the mountains of Alaska, practicing the ways of her people even as she resides in the small cabin her father built for her mother. She dreams of reconciling with her grandparents to fulfill her mother's dying request, but she has not yet found a way to bridge the gap that separate her from her tribe. 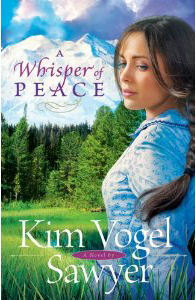 If you would like to read the first chapter of A Whisper of Peace, go HERE. With the Alaskan wilds as the backdrop, Sawyer sets the stage for a struggle between heritage and an uncertain future, a desire for purpose and a desire for love, pain and peace. 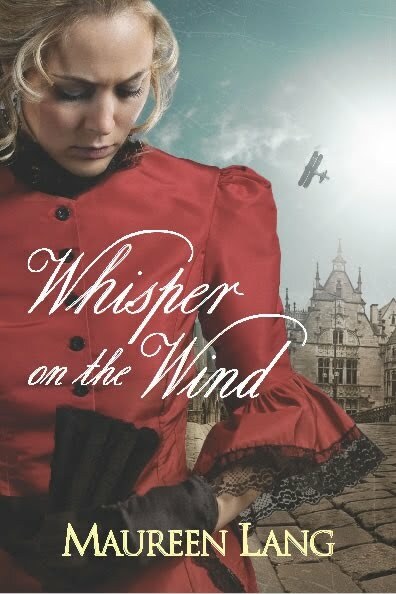 All three of the main characters have inner turmoil but long for "a whisper of peace" to blow across their hearts. 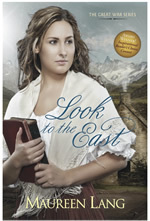 Lizzie Dawson is the epitome of independence as she survives living away from her village and away from human love. That is, until she meets two people on whom she might depend (and two children who come to depend on her). Her character is a unique one, and her longing for family and reconciliation for her mother's sake is admirable. Clay Selby has some noble ideas. But his lack of understanding, as well as his complete single-mindedness made it hard for me to really like him at first (or understand what made him attractive besides his curly hair). He wants to succeed, but he has a lot to learn. And learn he does! Rest assured, his character became more attractive as time wears on (and with a little humility). A Whisper of Peace is a story about missions, misunderstandings, and mistakes. It comes complete with a neat and tidy happy ending, but also with a good message about the importance of true, abiding peace that can only come through the Lord. Another sweet read from Sawyer! Monday for the Military: Faith Deployed . . . Again! 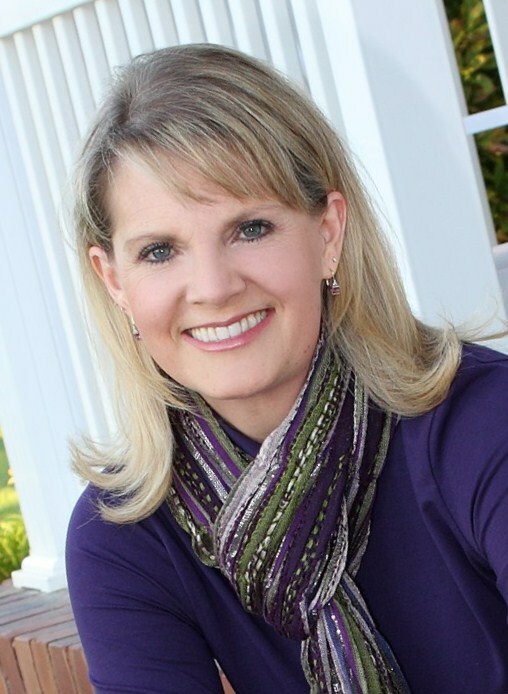 Back in November of 2010 I had the privilege of hosting Jocelyn Green - author of the devotional for military wives entitled Faith Deployed - here on the blog. (Click HERE to read her previous interview.) 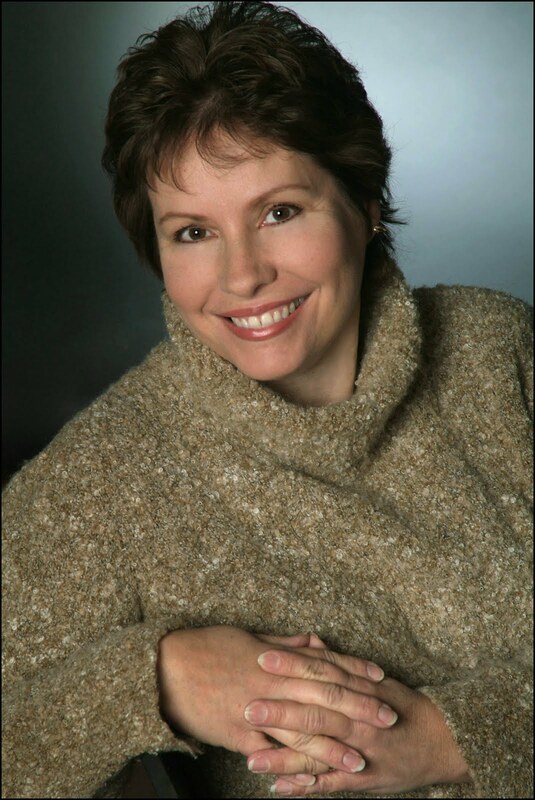 Now it is my great pleasure to welcome her back to talk about her latest release, Faith Deployed . . . Again. Read on to learn more about Jocelyn and how you can win a copy of her book! Amber: Jocelyn, I'm so happy to host you again! Last time you were here, we discussed your devotional book Faith Deployed. Now you have a new release – the sequel to Faith Deployed. Could you share with us the inspiration behind the sequel and what readers can expect from it? Jocelyn: The inspiration for the sequel, Faith Deployed . . . Again, was the same as the inspiration for the first book. In a word, military wives need encouragement, and the best source is God’s Word. As a former Coast Guard wife, I was so desperate for biblical encouragement that spoke directly to me. To have an opportunity to collect this type of encouragement and have it published by Moody is an incredible gift. I never once lacked motivation to work on this project. Encouraging military wives is my heart’s passion. Plumbing the depths of God’s Word and finding new gems in it to share with other women was a deeply spiritual and satisfying experience for me. The title of your sequel (as you mentioned) is Faith Deployed . . . Again. 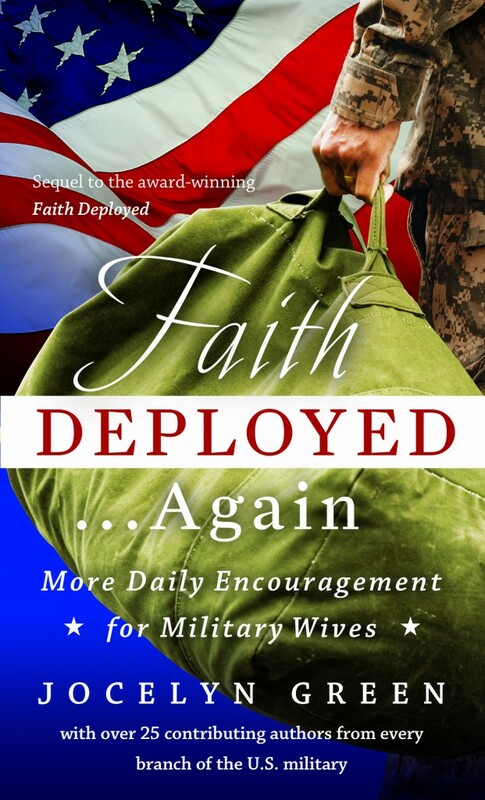 What is the significance behind the phrase “Faith Deployed,” and can the phrase (and the book itself) have meaning for those who aren’t military wives, as well? Jocelyn: I think of “faith deployed” as a faith called into action. Whether your military family experiences deployments or not, military life requires that we all deploy our faith in order to respond biblically to each trial we face. While this book was written by and for military wives, using illustrations from the military lifestyle, anyone who reads the book will come away with a deeper understanding of God’s Word and how it applies to trials we face. Military wives will be likely to get the most out of it, since it speaks directly to their unique lifestyle, but I have heard from many, many civilians, and men, who have also benefitted from reading it. Amber: I agree with that! It was a blessing to read Faith Deployed, and I'm enjoying Faith Deployed . . . Again (which I'm partway through). So, as a military wife, what do you admire most about the military? Jocelyn: I admire the military family’s commitment to honor, duty, service and sacrifice. In this “me-first” society we live in as Americans, military families give so much of themselves to a cause that is bigger than themselves—we can all learn from that, and from them. Do you have any plans for future books? Amber: Which is great news for us! (Since I'm taking a class on the Civil War Era, I must admit I'm even more excited about your upcoming fiction series!) Thank you so much for sharing with us, Jocelyn! You must have a U.S. mailing address in order to enter the drawing. A winner will be announced on the next "Monday for the Military" post. So, you get this random post instead. I hope you don't mind! Included in this post is a question, a schedule, and a discussion. I'm thinking about maybe doing fall/autumn themed posts on Fridays (like I somewhat did last year) and doing some "Moved by a Movie" posts every once in a while (I guess when I'm actually "moved"...). Sorry for the indecisiveness! If you have a preference or any other suggestions, please share your thoughts! Since it's been several months since I've shared my fall semester 2011 schedule with you, I thought I'd share it officially today so you can see what I'll be studying. Maybe I'll be inspired during my mid-week days to write posts about them sometime! As for the discussion, I guess this is more a question of whether you would like to do a discussion or not. ;) If you could vote on the poll below, that would be great! Thank you!